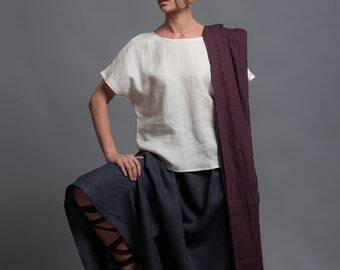 Set of 3 items - with 10% discount. 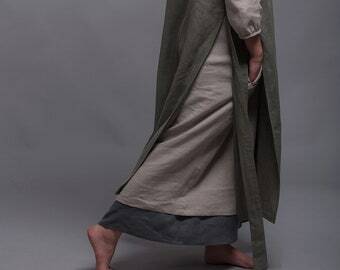 Lagenlook Style Clothes. 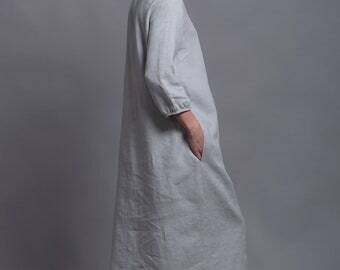 Dress NIKA and Kaftan URSA - 100% pure linen in middle weight - washed and softened. 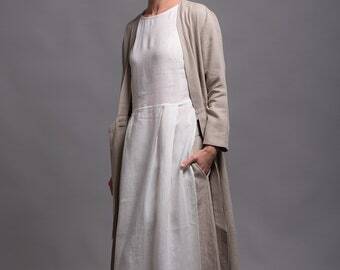 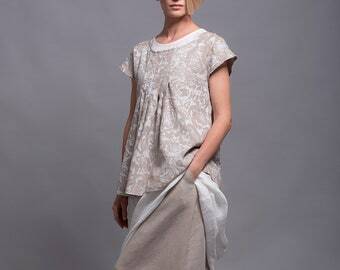 Underdress OLA - 100% pure linen in light weight - washed and softened. 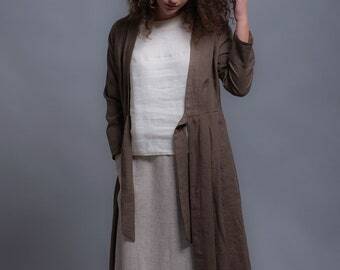 Underdress OLA- 8 color options from the color chart (please see the last pic) - just write me in the comments which color do you prefer. 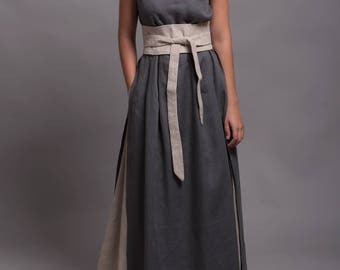 Dress NIKA length is 120cm/47"
YOU CAN ORDER ANY LENGTH OF THE DRESSES, JUST PLEASE LEAVE ME A NOTE WITH YOUR MEASUREMENTS AND PREFERRED LENGTH IN THE COMMENTS SECTION WHEN YOU MAKE A PURCHASE: BUST - WAIST - HIPS - LENGTH. 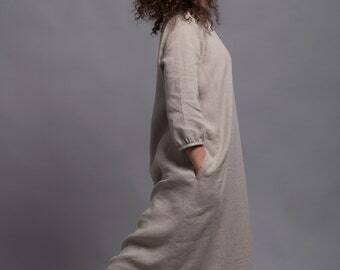 IF BODY MEASUREMENTS AND LENGTH AREN'T PROVIDED - WE WILL MAKE YOU GARMENT IN A STANDARD LENGTH. 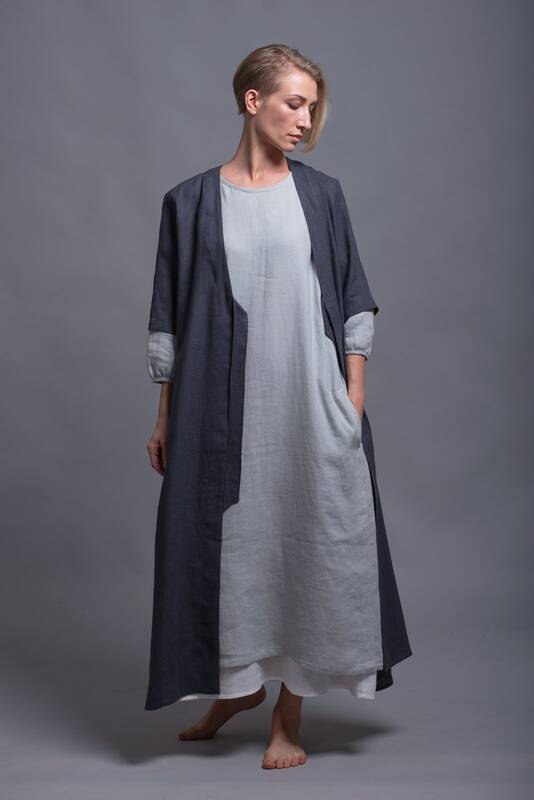 Bust - 110cm / 43"
Hips - 116cm / 45.5"
Bust - 116cm / 45.5"
Hips - 122cm / 48"